President Barack Obama asked for China and several other countries to help block future cyber attacks from North Korea. 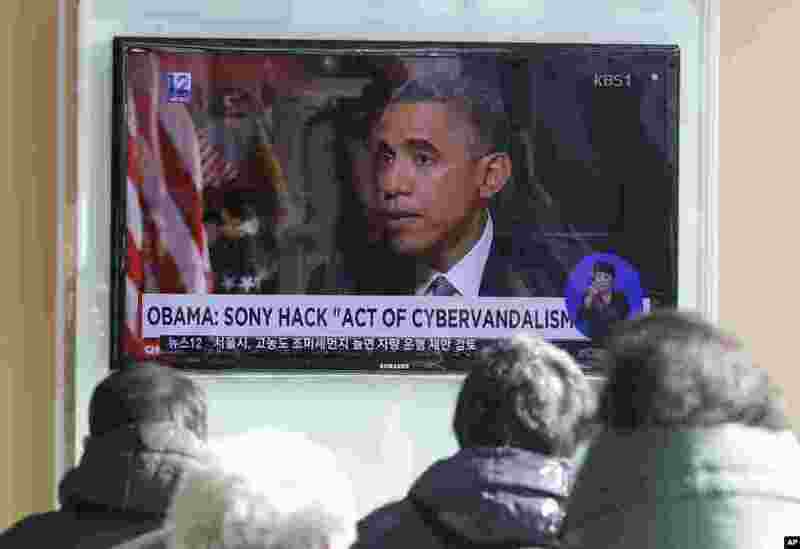 1 People watch a TV news program showing President Barack Obama, at the Seoul Railway Station in Seoul, South Korea, Dec. 22, 2014. 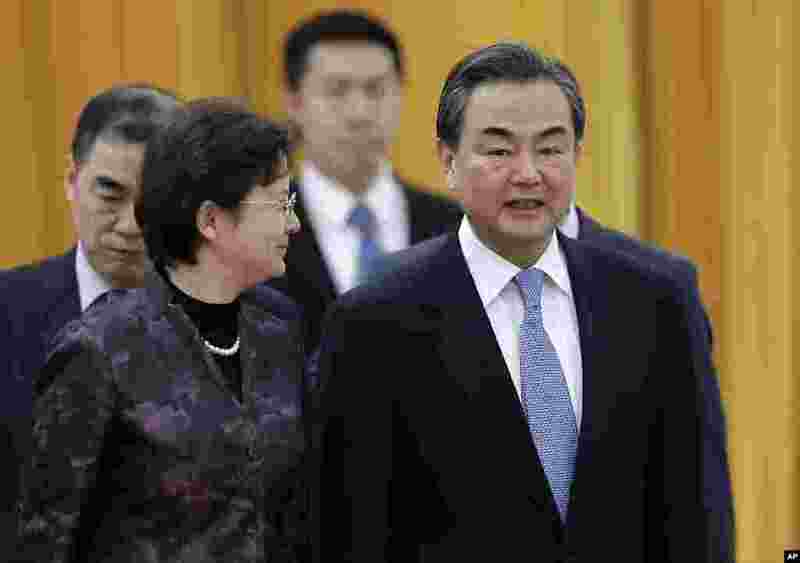 2 Chinese Foreign Minister Wang Yi (right) chats with a delegate as they attend a ceremony. China told the U.S. that it is against cyber attacks and opposes any nation or individual launching such attacks from a third country, but did not directly condemn the Sony hackings, at the Great Hall of the People in Beijing, China. Dec. 22, 2014. 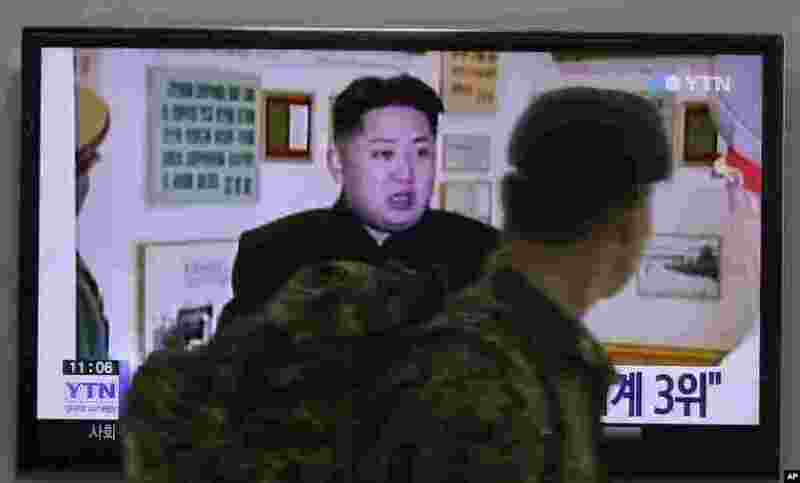 3 A South Korean army soldier watches a TV news program showing North Korean leader Kim Jong Un, at the Seoul Railway Station in Seoul, South Korea, Dec. 22, 2014. 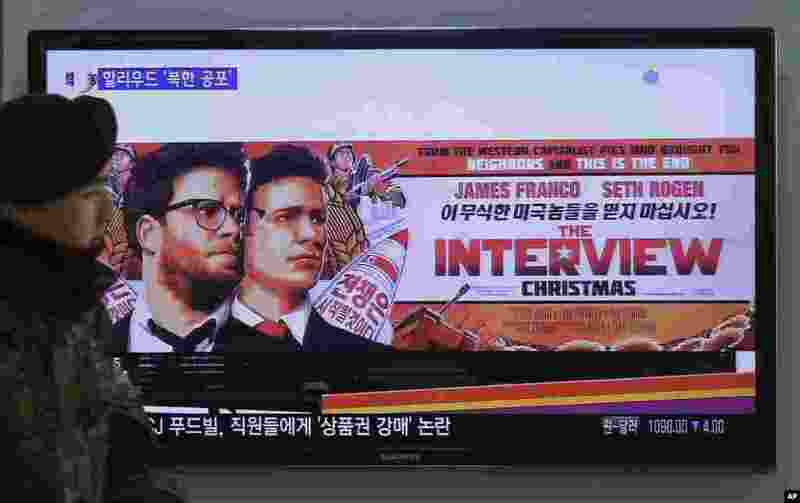 4 A South Korean army soldier walks near a TV screen showing an advertisement of Sony Picture's "The Interview," at the Seoul Railway Station in Seoul, South Korea, Dec. 22, 2014.